House Passes 2013 Budget That Includes Private Option For Medicare : The Two-Way The budget, likely to die in the Senate, was crafted by Rep. Paul Ryan and also includes an overhaul of the tax system. 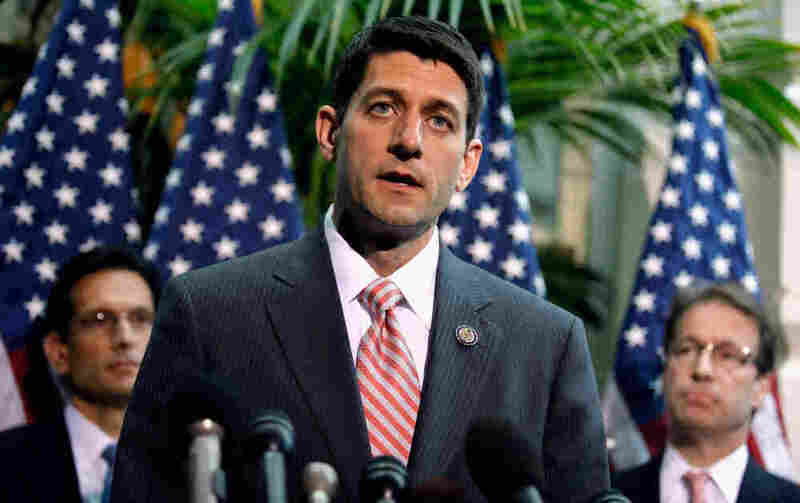 House Budget Committee Chairman Paul Ryan (R-WI) says his budget offers "real solutions." Voting along party lines, the House of Representatives passed a 2013 budget that was crafted by Rep. Paul Ryan, a Republican from Wisconsin. "The 228-191 vote gives the embattled GOP leadership what it most wanted: a show of party unity behind a bold election-year vision that includes new private options for Medicare and a simplified tax code. "But the price paid by Congress is big: wrecking havoc with hard-fought bargains under the Budget Control Act and inviting another shutdown fight with Senate Democrats and Obama unless the House again reverses course." As the AP reads the budget, it sets up a sharp contrast with how President Obama and the Democrats would deal with the deficit, because it slices funding for "everything from food stamps to transportation and rejects Obama's call for higher taxes on the rich." The budget is not expected to be adopted by the Senate. If you need a primer on Ryan's latest budget — he proposed a blueprint last year — a post Mark wrote earlier this month provides some highlights. One of the notable differences is that this plan allows seniors to choose between government health coverage and private insurance. Ryan's previous plan, which was attacked from all sides, proposed turning Medicare into a voucher program. As Mark reported, the left has already jumped on the plan. He reports: "Roger Hickey of the Campaign for America's Future calls it a 'suicide pact ... that ignores the clear views of the majority of Americans.'"